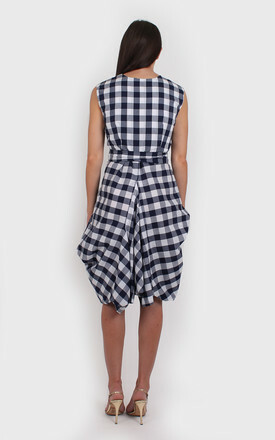 Wrap around dress with unusual shaped skirt with folds and points in different directions. Makes a quirky change from mainstream fashion. A real edgy cut! 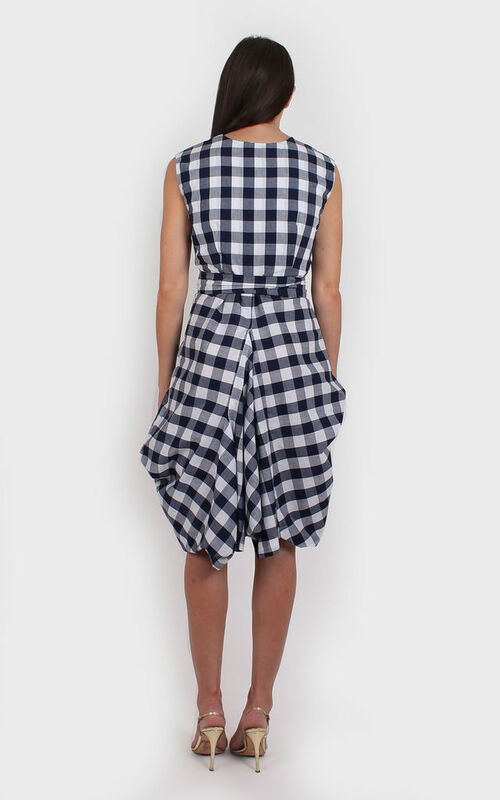 Made from a crisp cotton fabric.